Organizational Chart helps you to show the relationships of positions in an organization in terms of authority and responsibility. Orgcharts are typically used to provide both employees and individuals outside of the organization with a “snapshot” picture of the reporting relationships, divisions of work and levels of management. Inside the Orgcharts solution, you will find templates, which provide a foundation to allow you to depict a wide array of organizational structure types - and to represent any matrix organization structure, functional organizational structure, or business structure - in addition to predesigned samples and vector shape libraries containing all the icons you need to effectively illustrate your organizational structure chart. This sample was created in ConceptDraw DIAGRAM diagramming and vector drawing software using the Organizational Charts Solution from the Management area of ConceptDraw Solution Park. This sample shows the Organizational Chart that displays the structure of the organization in the field of Project Management and the relationships of the company′s parts. 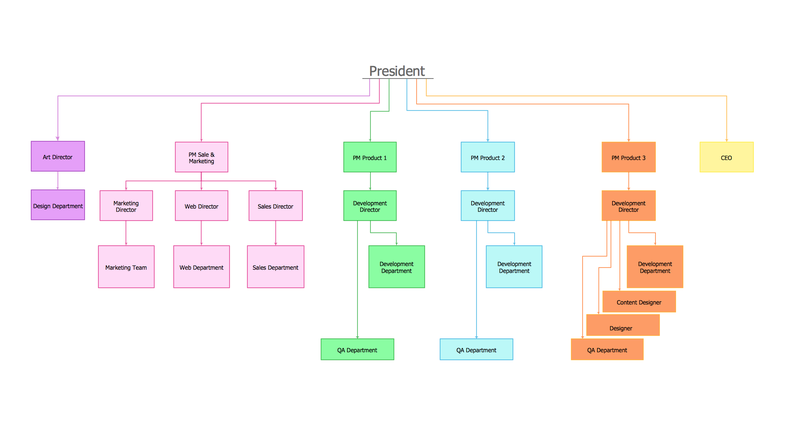 Organizational Chart that you see has a tree structure. This sample is very useful for management diagramming. 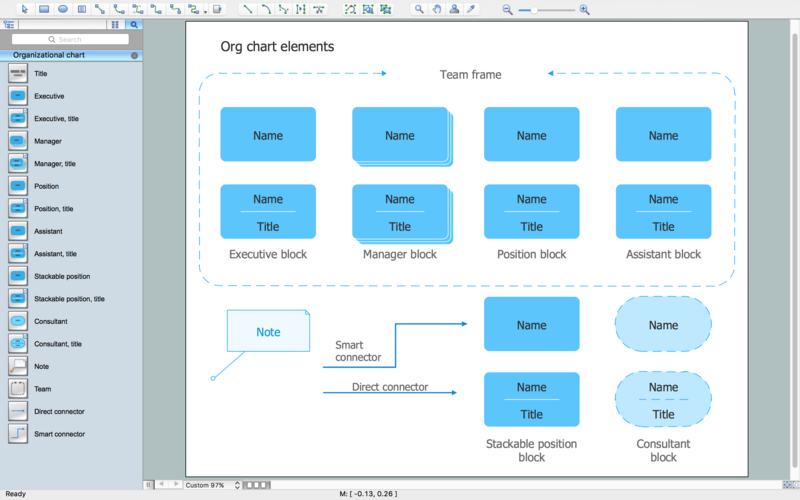 Using the libraries of the Organizational Charts Solution for ConceptDraw DIAGRAM you can create your own professional Organizational Charts Diagrams quick and easy. All source documents are vector graphic documents. They are available for reviewing, modifying, or converting to a variety of formats (PDF file, MS PowerPoint, MS Visio, and many other graphic formats) from the ConceptDraw STORE. 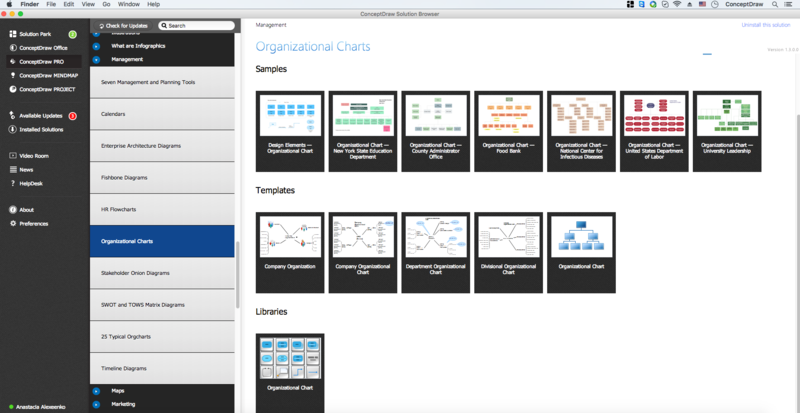 The Organizational Charts Solution is available for all ConceptDraw DIAGRAM or later users.